Play an addition card game! The goal is to create a sum that is as close as possible to the target sum. Students will deepen their understanding of place value as they get better at playing the game. Many game options allow students to vary the game for more practice. The game can be played with one or two players. Identify and interpret the values of digits in the ones, tens, and hundreds places. Understand the role of place value in addition problems. Tremendous exercise for place value! 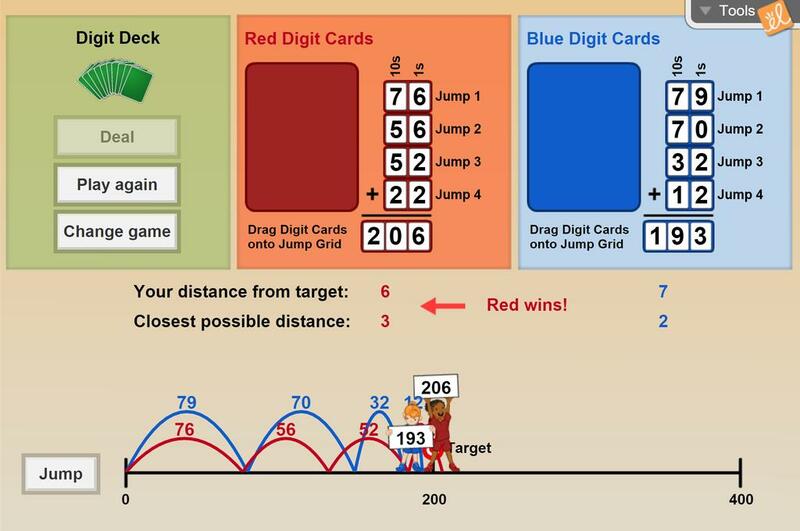 Fun Gizmo for competitive students.